After his mother's passing, a boy turns to a girl who claims her spaceship can take him to a planet for departed souls. There’s a fine line between saccharinity and sentiment, and The Treehouse, a short from directing duo Sam Shapson and A.J. Sheeran, walks it perfectly. This isn’t a film for everyone; cynics should check their bag at the door. But, if you’re up for it—if you’re willing to go along for the ride—you’ll be rewarded with a touching tale about loss and alienation told through a child’s perspective. Admittedly, the film starts on somewhat rocky footing—a meet-cute between a precocious girl and a grieving boy. I know there’s an audience for interactions like this, but personally, I’m not one of them. But, grumpy old-man quibbles aside, once the plot gets moving, things start to take off (both literally and figuratively). 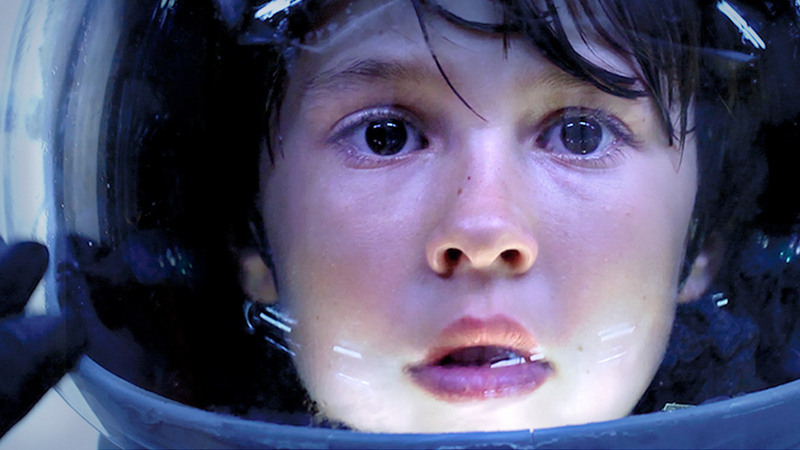 As our young protagonists begin their journey to outer space in order to reconnect with their lost loved ones, the film becomes emotionally and visually transcendent. For our lead character, Matt, the trip becomes less about a desire to connect with his mother and more about learning to connect with and feel empathy for others. In that sense, The Treehouse is a pretty spectacular film, using the launching point of a young boy’s pain as catalyst to spur his compassion. Yes, with the right friends, we truly can get through anything. Together. Both in tone and premise, The Treehouse bears a certain resemblance to a short we featured last year, Codename: Simon. And, while that film was unfortunately pulled offline due to a copyright claim from AFI, the Treehouse should be online for the long haul. Both Shapson and Sheeran made the film while undergrads at Columbia College in Chicago, scraping together a budget of $15K through their own personal funds and Kickstarter. The duo took great care in crafting the look of the film, working with costume designer Tina Zepeda to custom make space suits and helmets for the young stars. They also utilized the skills of production designer Molly Alexander to construct the “space ship” on Columbia’s sound stage, along with the interior of the treehouse. Needless to say, it took many long hours and hard work to bring the film to this point. The short was completed in 2012, but is just now making its way online where hopefully it can garner a wider audience. I think it has a good chance—this is a touching film, a poignant display of childlike fantasy that is still grounded in sobering reality. You can keep up to date with both Sam Shapson and and A.J. Sheeran via their twitter accounts.